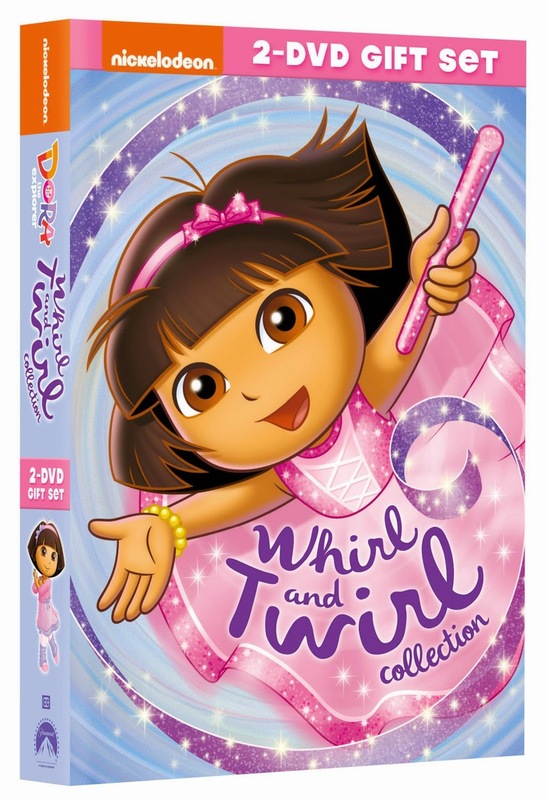 Dora the Explorer: WHirl and Twirl Collection DVD Release! Dora as she prepares for a big gymnastics performance and dance recital in Dora the Explorer: Whirl and Twirl Collection. The two-disc set includes the fun-filled “Dora’s Fantastic Gymnastics Adventure” and “Dora’s Ballet Adventure.” Created by Nickelodeon and distributed by Paramount Home Media Distribution, Dora the Explorer: Whirl and Twirl Collection arrives on DVD on June 2, 2015.